YJ Reservations module will let your visitors fill out a table reservation form and send you an email with reservation details. This module comes with jQuery Validation Engine , jQuery pickdate and adjustable CSS. You can also modify the thank you message and set specific operating times for the time picker. This Ajax reservations form is a must have for any Joomla! administrator. 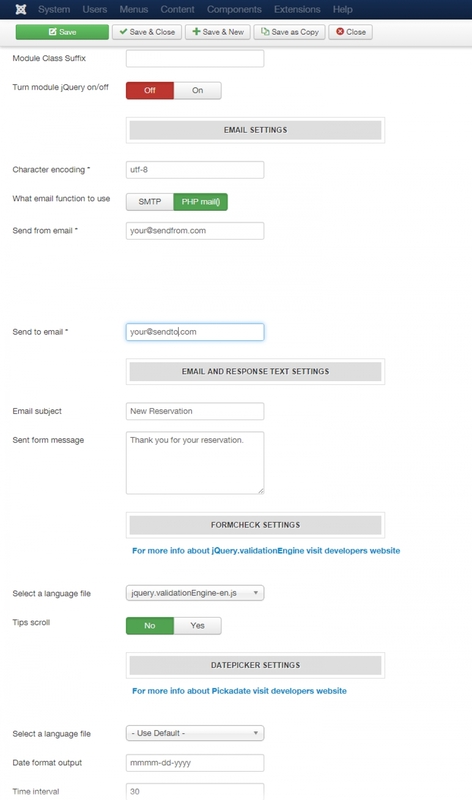 The form is using PHP mail() function or SMTP to send emails out.